Matt’s on the cover of CityBeat! 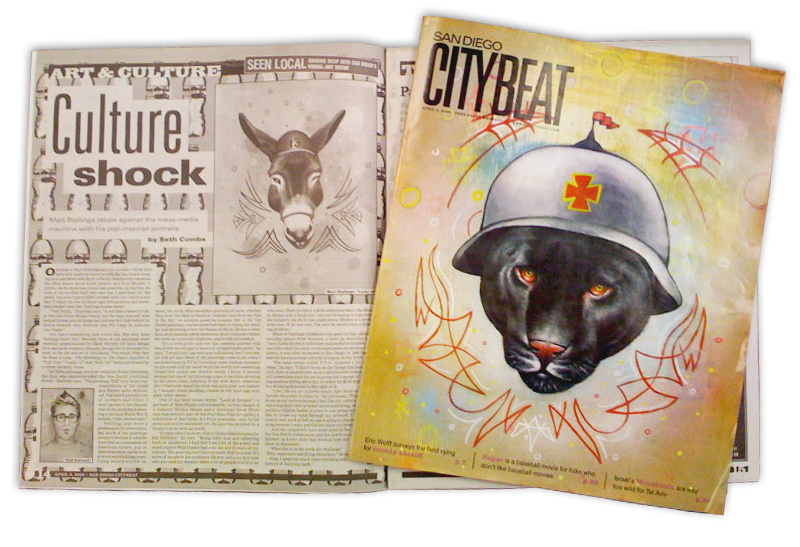 Yes, this latest April 8, 2009 edition of San Diego CityBeat not only features an interview with Ninthlink’s own Matt Stallings (click link for full article goodness), but also showcases his “Tuff Guy” on the cover! High five! Previous PostTrend of the Moment: Be in the "Now"
Matt. Love your work! And you’re not bad either. AWESOME!!! I better go find a hard copy, this looks great!